Bronxville, N.Y. dentist Dr. Constantina Bacopoulou has launched a new website for her practice, CB Dental Wellness, located online at https://www.cnbdental.com/. Dr. Bacopoulou operates a boutique practice that specializes in restorative and cosmetic dentistry, as well as general dentistry services. “We help patients to approach their dental care holistically as they would other aspects of their healthcare," said Dr. Bacopoulou. 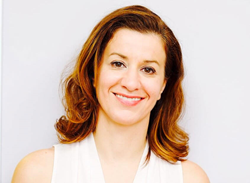 Dr. Bacopoulou received her Doctor of Dental Surgery degree in 2006 from New York University where she also received advanced training in implantology and aesthetic dentistry. She has been a member of the faculty at the NYU College of Dentistry International Esthetics Program. Dr. Bacopoulou is Invisalign certified. Dr. Bacopoulou was born in Athens Greece and came to the U.S. to attend New York University where she graduated with honors. In addition to being an avid runner and health enthusiast, Dr. Bacopoulou is an accomplished potter. “Restorative dentistry is equal parts science and art so I get to use my training and my creative skills to give patients the best possible care and outcome," said Dr. Bacopoulou. Dr. Bacopoulou’s dental office, CB Dental Wellness, is located at 44 Pondfield Rd, #10, in Bronxville, NY, 10708. CB Dental Wellness is open Monday through Saturday and can be reached at 914-337-3863. Those who would like to learn more or schedule an appointment are invited to call the office or visit the website today at https://www.cnbdental.com/.